First I folded the fabric for the front and back pieces in half – it would make it easier to be accurate while measuring and cutting. As you can see from the diagram, I took all my measurements and did my best outlining the dress and cutting in straight lines. If it helps, you can use a dress or shirt of similar material has a guide. 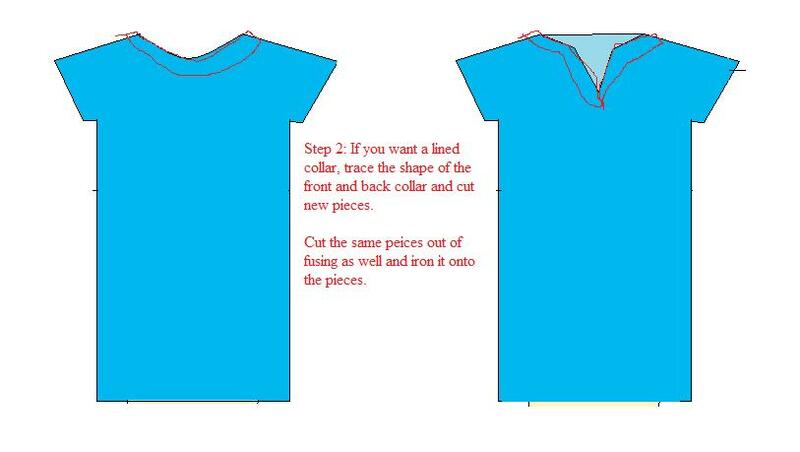 Cut your collar pieces from the same fabric and from iron-on fusing - which will add more stability. 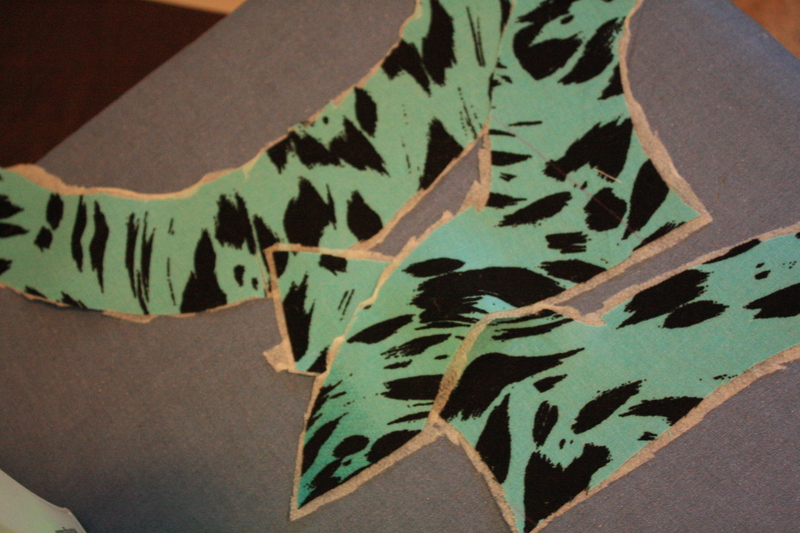 Iron the fusing onto the collar pieces. 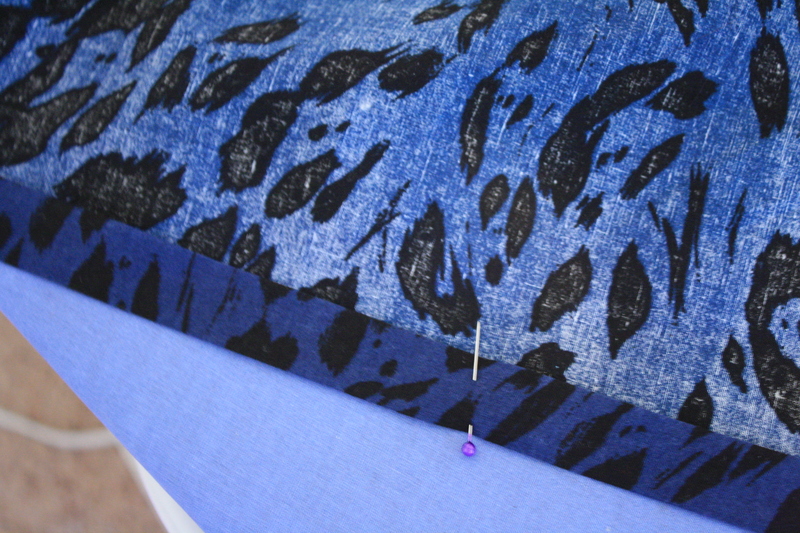 Sew the front and back of your dress at the shoulders – the right side of the fabric should be facing each other. Try on and make sure you have a big enough hole for you head to go through. Sew dress together along the sides. (Don’t sew your arm holes!). Have a lot of extra room to spare? Take it in some more. Hem your sleeves and the bottom of your dress. I did a rolled hem on the sleeves and thicker hem on the bottom. Hem length is up to you. 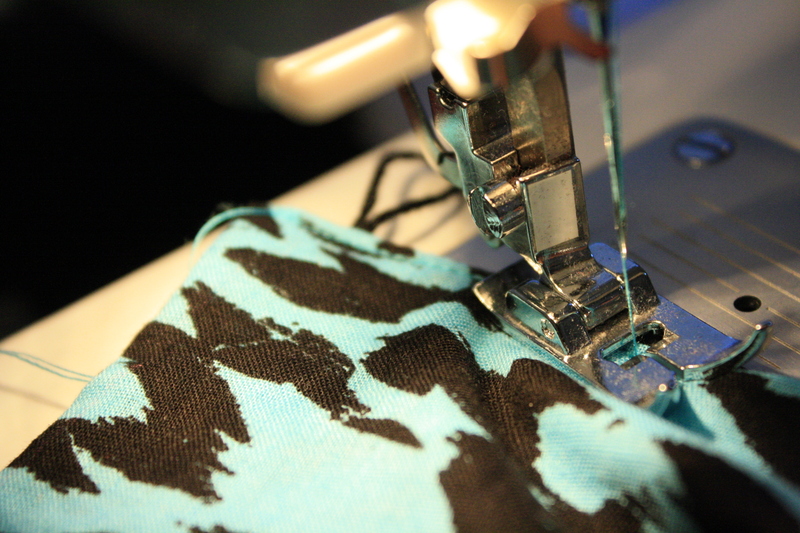 When hemming, your iron and pins are your best friend! Sew your neckline/collar pieces together and press the seams open.Sew along the bottom edge of the pieces to make sure fusing will stay. 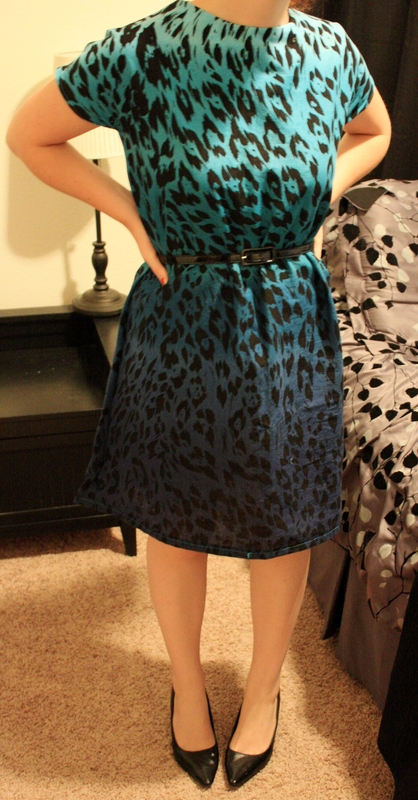 The collar pieces are inside the dress and again, the right sides of the fabric are facing each other. 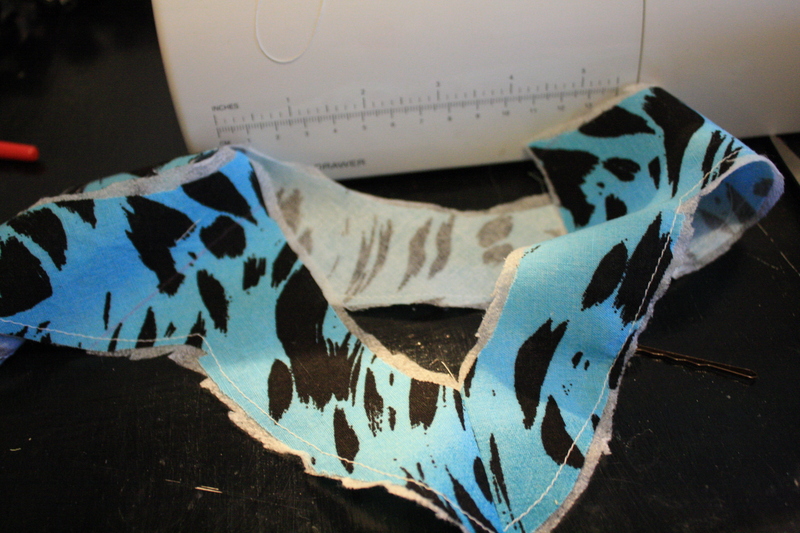 Attach the collar pieces – the dress will be inside out and the neckline pieces will be inside the dress. Pin the neckline. 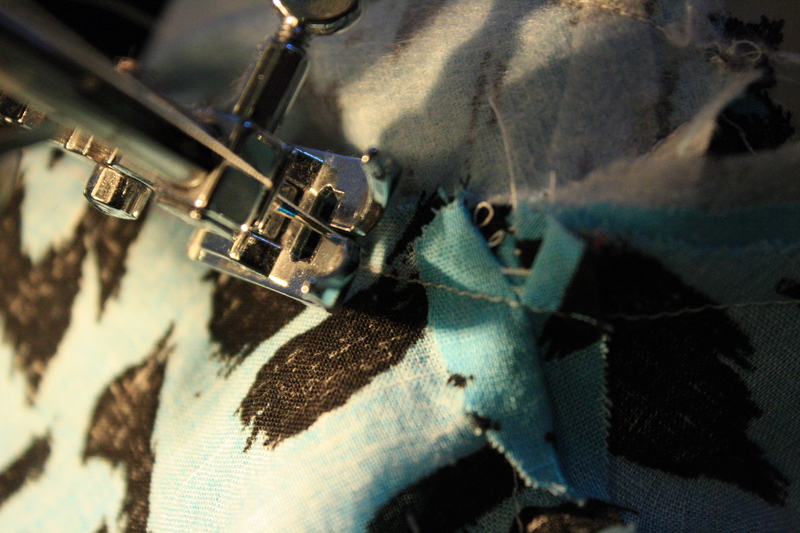 I like to pin first at each should seam so I can make sure it all fits correctly. 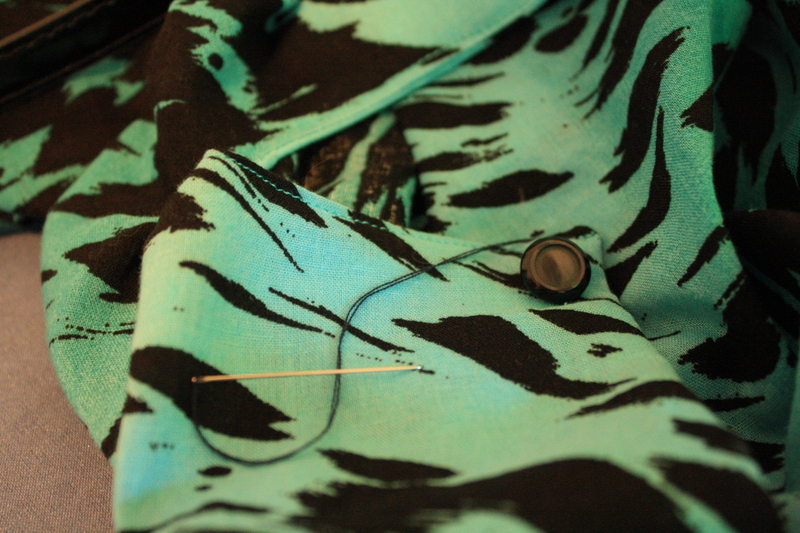 Pin your button loop between collar pieces. The edges should stick out and the loop should be inside. 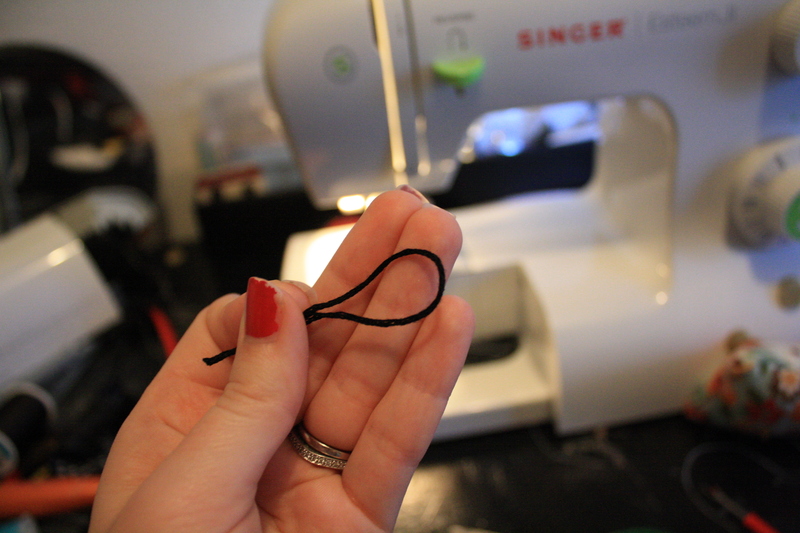 Use ribbon or embroidery thread as your back button loop. Sew along the top edge and remove pins. 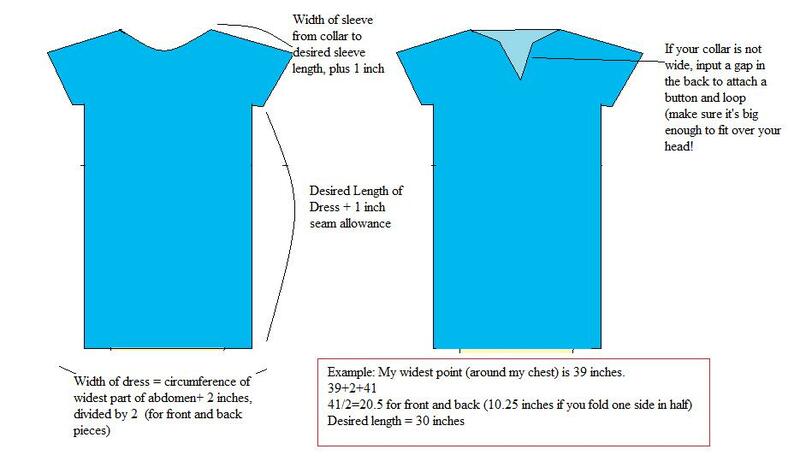 Flip inner neckline up – sew the inner collar pieces and the seams together – close to the original seam. 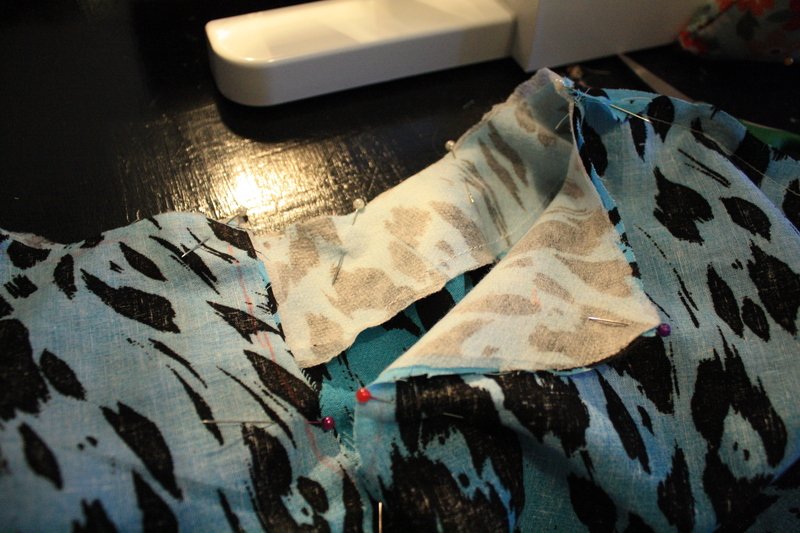 The dress will be inside out, and you will sew the inside neck piece on top of the seam you just sewed. Flip the dress right side out, and press the neck down. 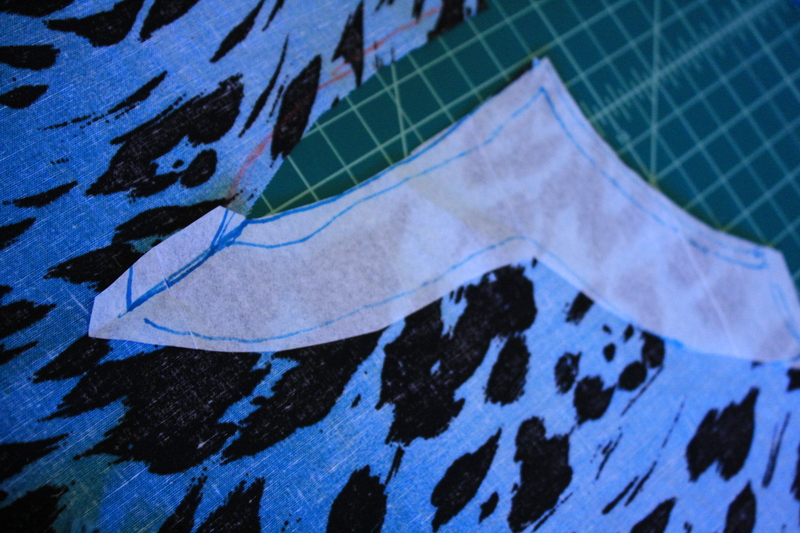 Sew along the edge of the neckline on the back, to help keep the lining inside the dress. Make sure to go back and forth over the button loop to secure it. 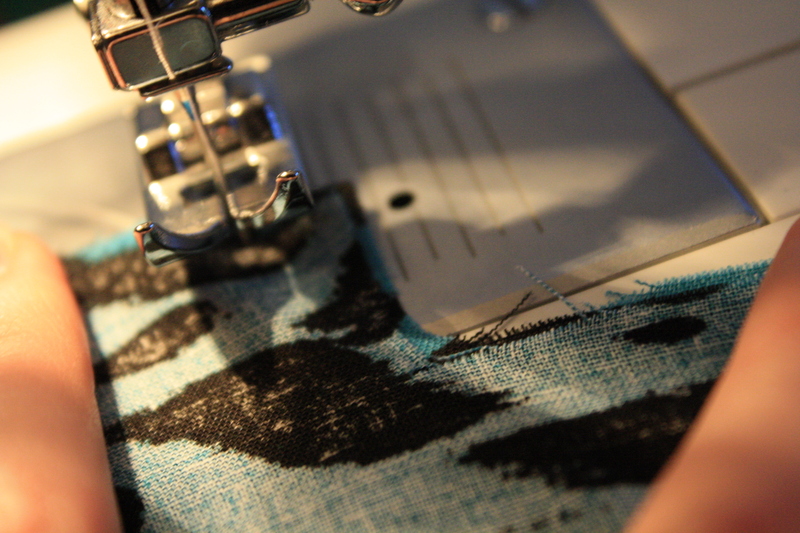 Sew on a button and you are done!